Mrs. Wynonia Davis age 92, passed away Tuesday, September 18, 2018.She was born in Conecuh County, Alabama on July 21, 1926. On August 20, 1945 she became the wife of RJ Davis. This was a role she treasured and nurtured to the best of her ability. Raising her children was her second highest priority. 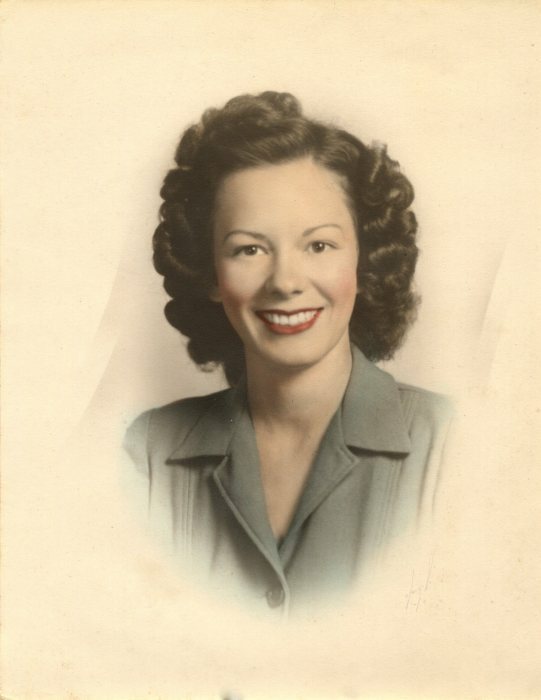 During her life, Wynonia worked at various jobs. You could call her an entrepreneur. She could always find ways to contribute to the family finances. For 8 years she worked at Vanity Fair. In 1966 she and her husband, RJ, opened and she managed Fairnelson Grocery for 21 years. But the job she enjoyed most was shelling beans and peas for the public. Every Christmas she would send every customer a Christmas card. Funeral services will be held at 2 p.m., Friday, September 21, 2018 at New Haven Church of Christ with Rev. Billy Lambert officiating. The family will receive friends one hour prior to services at the church. Interment will follow in the New Haven Church of Christ Cemetery with Cope Keahey Funeral Home directing. Survivors include son, Tom Davis of Monroeville; daughter, Peggy (Ron) Jackson of Montevallo AL. ; brother, Steve Wilson of Lucedale MS.; daughter in law, Cathy Davis of Monroeville; six grandchildren and ten great grandchildren. Preceded by her parents, John Wesley Hardee, Sr. and Cora Mae Hardee Wilson; her husband, RJ Davis; her son, Roger Davis; her brothers John Wesley Hardee, Jr., Russell Hardee and George Hardee.